Hate it when you shoot an image and your shaky hands get that all important image blurred? 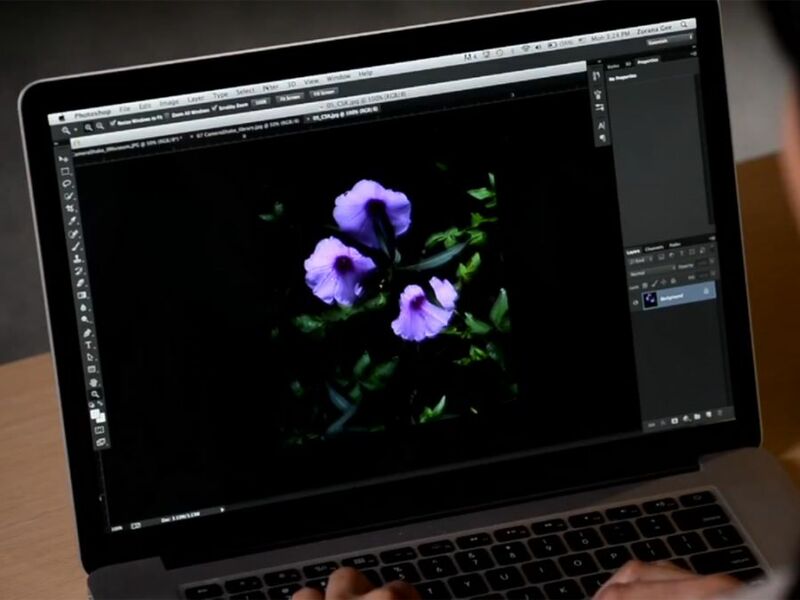 Well, this problem might be a thing of the past soon with a new feature Adobe recently demonstrated, supposedly for the next version of Photoshop. In 2011 Adobe amazed photographers when it demonstrated for the first time a game changing technology that can fix image blur. This demonstration was given during Adobe MAX 2011 convention and at the time it received a lot of media attention. However this innovative feature did not make it into the Adobe Photoshop CS6 which was released a year ago and Adobe itself was fairly quiet about its development. That’s it until now. So far fighting image blur was mostly the work of camera manufacturers. They have created both software and hardware built into cameras (and lenses) that can minimize blur. Some manufacturers like Canon and Nikon choose mostly a hardware solution located in their camera’s lenses to reduce blur. This mechanism is fairly effective but like most hardware solutions its more expensive and it requires an additional element inside the lens (which can make it slightly bigger and its design more complex). Other manufactures such as Pentax and Sony choose to integrate the anti shake mechanism on the sensor (an approach which is typically known as sensor shift). This counter-moves the sensor ever so slightly to correct for the tiny shaking of the user. Unlike lens based shake reduction, this technology will work with any compatible lens (and so even older lenses developed before anti shake technology came to the market can benefit from it). It also means that manufacturers don’t have to add the anti shake image stabilizer into each and every lens, making them – potentially smaller, lighter and cheaper (although in real life this is not necessarily the case). Some cameras don’t use any of these methods and relay only on a software anti-shake approach – typically this could be found in low cost compact cameras and is considered the least effective method or the three. With all this advanced anti shake technology one thing might slip away. Image stabilization (wheatear its in the lens or sensor) can only try and correct for the movement of the camera (your shaky hands), but never for the movement of your subject. There is no known consumer commercial technology that can effectively correct a blurred image caused by a moving subject. At this point it’s not entirely clear what type of blur will the new Adobe feature fix (although the feature is called “camera shake reduction” which might suggest only camera movement blur is targeted), in theory we see no reason the Adobe algorithm can’t also target subject movement blur. Unlike the original video from 2010 which was a concept demonstration during a conference, the current demo is a more official one and seems to look like part of the Photoshop product which could suggest that we shall see this one coming on the next version of Photoshop (possibly in the not too distant future). Stan Horaczek from the photography magazine Pop Photo recently had a talk with Adobe representatives who suggested that the version of the anti blur feature demonstrated in 2011 required too much processing power to work, something that apparently was successfully overcome with the more recent version demonstrated this week by Adobe.